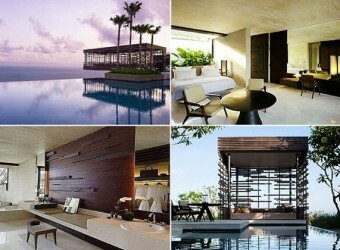 Bali Hotel Alila Uluwatu was opened in June 1st, 2009. It locates on the north-end of Badung Peninsula, Bali, and it is great superb view of Indian Ocean. Around the hotel, there are many high-class resorts such as Karma Kandara and Banyan Tree, etc. It is surrounded by big scale of nature only, therefore, it is recommended for who want to relax in the hotel.